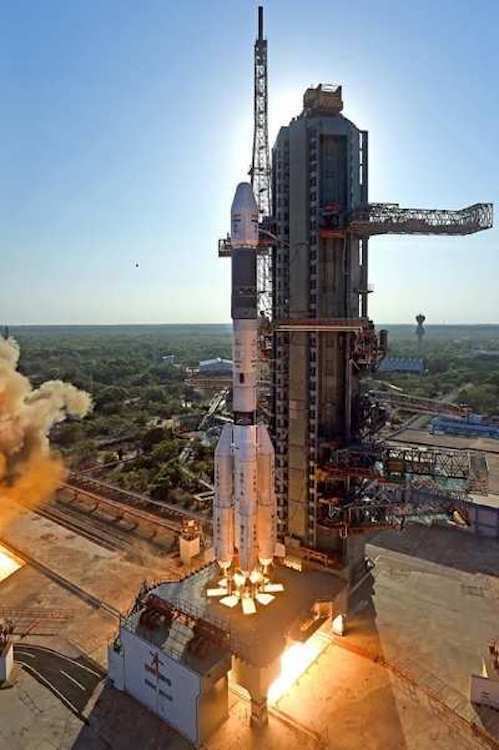 India’s Geosynchronous Satellite Launch Vehicle (GSLV), in its 13th flight, will launch the 2250 kg operational communication satellite, GSAT-7A from the Second Launch Pad (SLP) of Satish Dhawan Space Centre SHAR, Sriharikota on December 19, 2018. 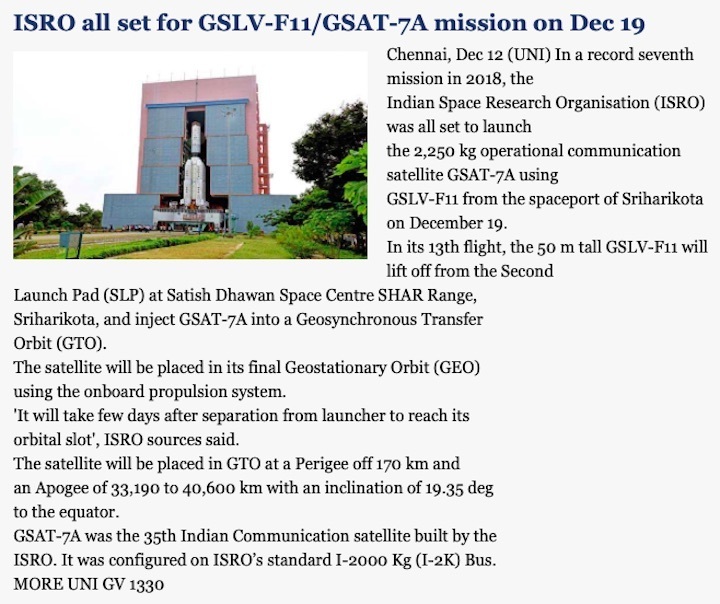 GSLV-F11 will inject GSAT-7A into a Geosynchronous Transfer Orbit (GTO). The satellite will be placed in its final Geostationary Orbit (GEO) using the onboard propulsion system. It will take few days after separation from launcher to reach its orbital slot. 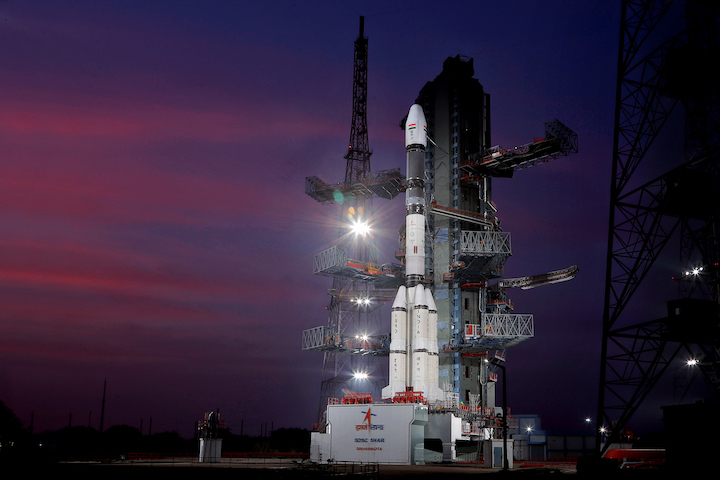 GSLV – F11 is ISRO’s fourth generation launch vehicle with three stages. The four liquid strap-ons and a solid rocket motor at the core form the first stage. 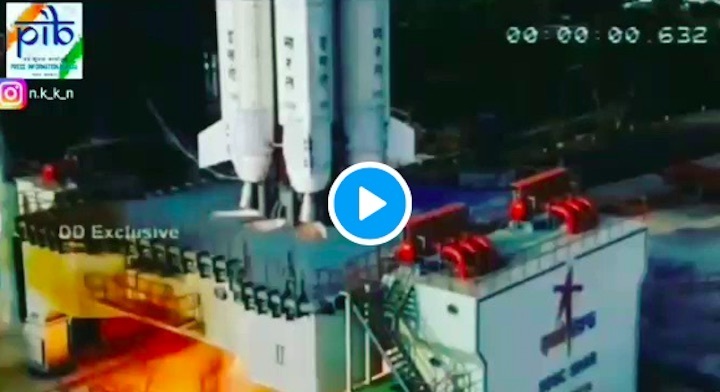 The second stage is equipped with high thrust engine using liquid fuel. The Cryogenic Upper Stage forms the third and final stage of the vehicle. 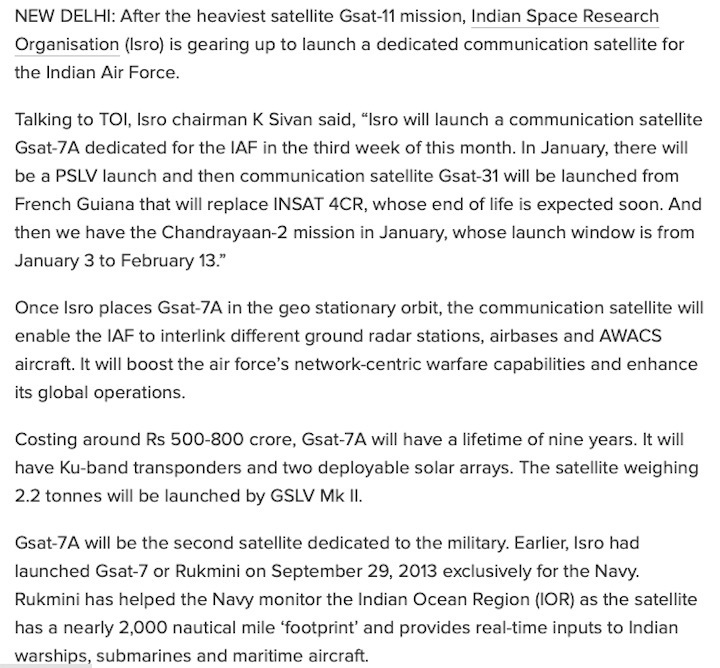 GSAT-7A is the 35th Indian Communication satellite built by ISRO. 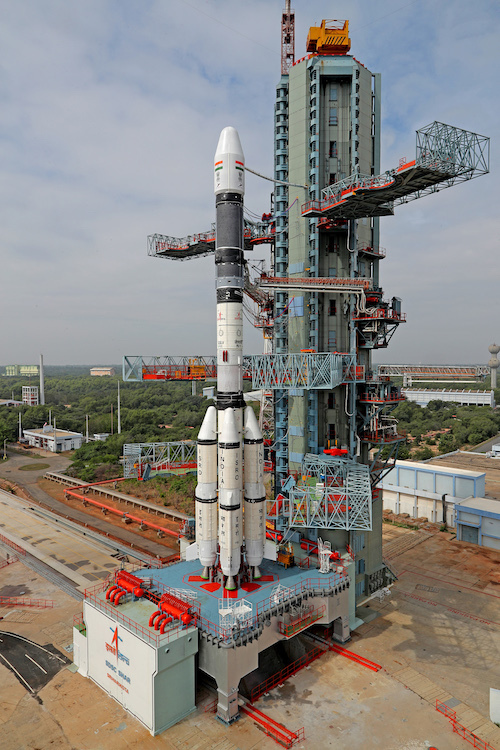 GSAT-7A Spacecraft is configured on ISRO’s standard I-2000 Kg (I-2K) Bus. 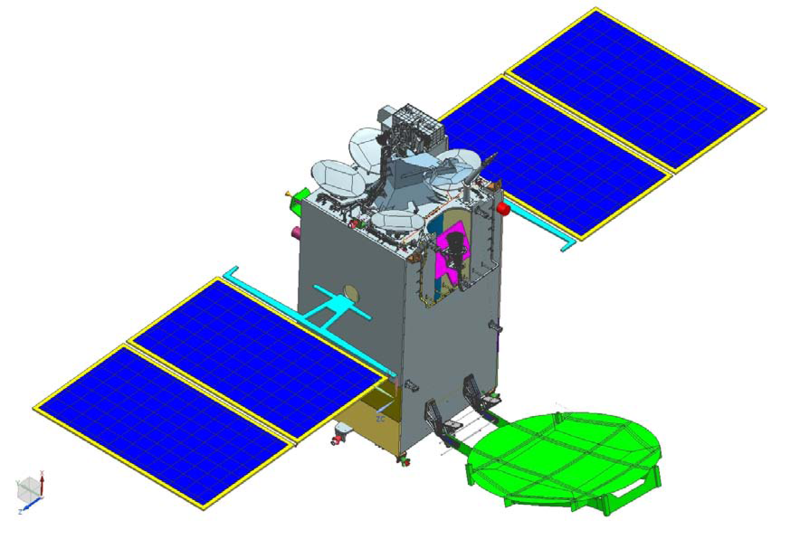 The Satellite is built to provide communication capability to the users in Ku-band over the Indian region.